By Hongkiat.com in E-Commerce. Updated on April 26, 2018 . Here are some good news for bloggers or those who make money online. 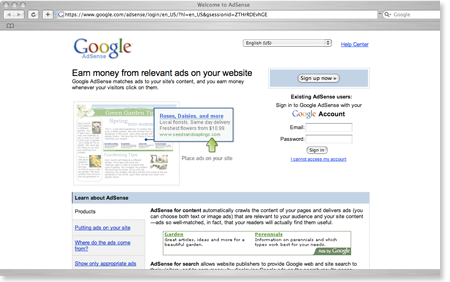 You now have easier ways to withdraw your money from Paypal and Google AdSense. If you are staying geographically far from United States, you are probably waiting weeks for your AdSense check to arrive, and another few week for local bank to clear the check before you can withdraw these cold hard cash. I’ve written how you can withdraw with VMI but I guess that not really required now if you have a credit card or debit card with Visa, Visa Electron or Mastercard. There is an option in Paypal that allows you to transfer your money from Paypal to credit/debit card. Daily withdrawal limit is $500, each transaction will be charge a fee of $5. Read here for more information. Malaysian local banks have yet to be recognized or added into Paypal for direct withdrawal. My guess is probably due to the fraudlence caese years back. Now that if you have a credit/debit card, you should not have a problem transfering your money from Paypal. I’m personally not having problem withdrawing from Paypal as I have a Singpore bank account directly attached to my Paypal account.